Photo Gallery #47: Click edit pencil to get the selected gallery name. 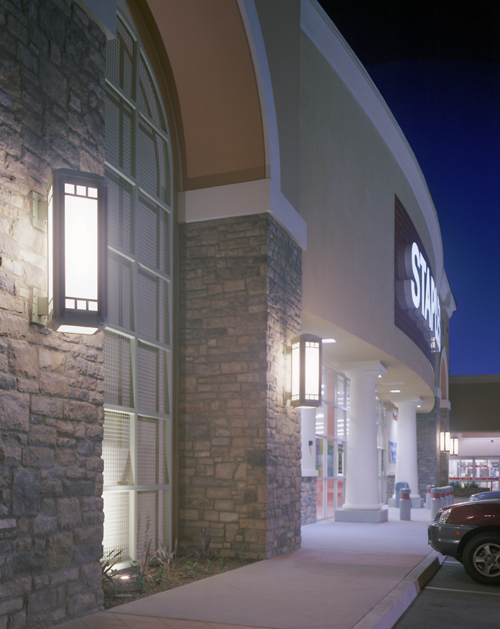 Project: Creekside Marketplace, San Marcos, Calif.
Fixture: Riverside exterior sconces light the way in this retail development. The DE-211 bracket mount and complementary DE-215 wall mount sconces feature a custom panel design, and custom powdercoat paint color.